The other day I was scrolling through tumblr and saw a gifset of a playful platypus. 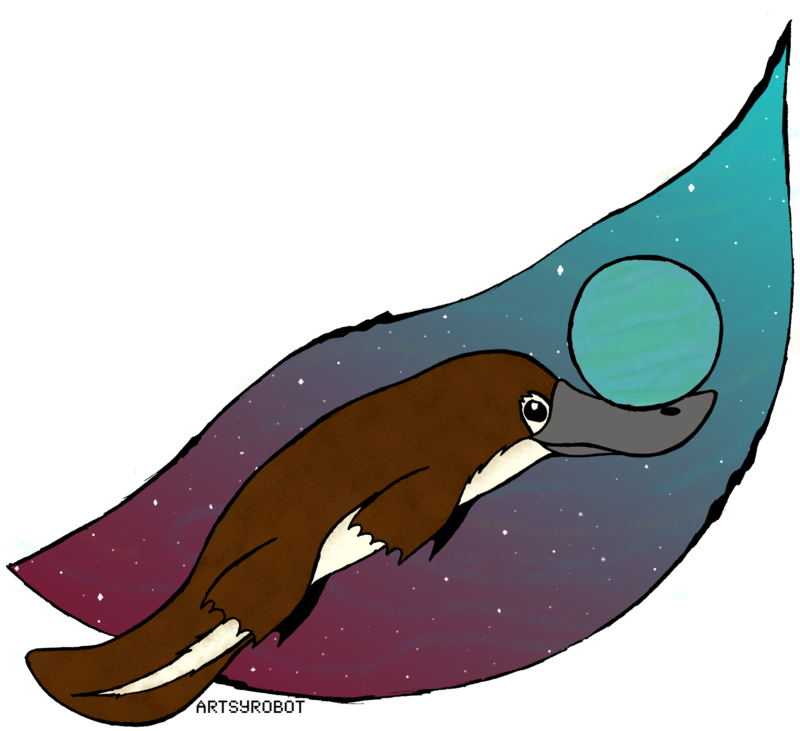 I ended up creating this little piece after doodling the cute little platypus you see above. For a while now I have been in love with galaxies. The way colors blend, and even the scientific side of how the “clouds” we see in galaxies are created, have fascinated me. I am having a lot of fun experimenting with Photoshop and blending colors from this project I’ve started for myself. What’s your favorite aquatic animal? Oh thank you! 🙂 Sea Otters are so precious.